The ATtiny102 and ATtiny104 are Atmels newest addition to the AVR ATtiny family. They are a bit different to most of the other devices in that family, since they are based on the AVRTINY CPU core, which was so far only used in the ATtiny4/5/9/10/20/40. I have previously done several projects on the ATtiny10, so I was naturally excited to see another addition to this family. Both new devices are clearly targeted at the lower end, with only 1kb of flash. 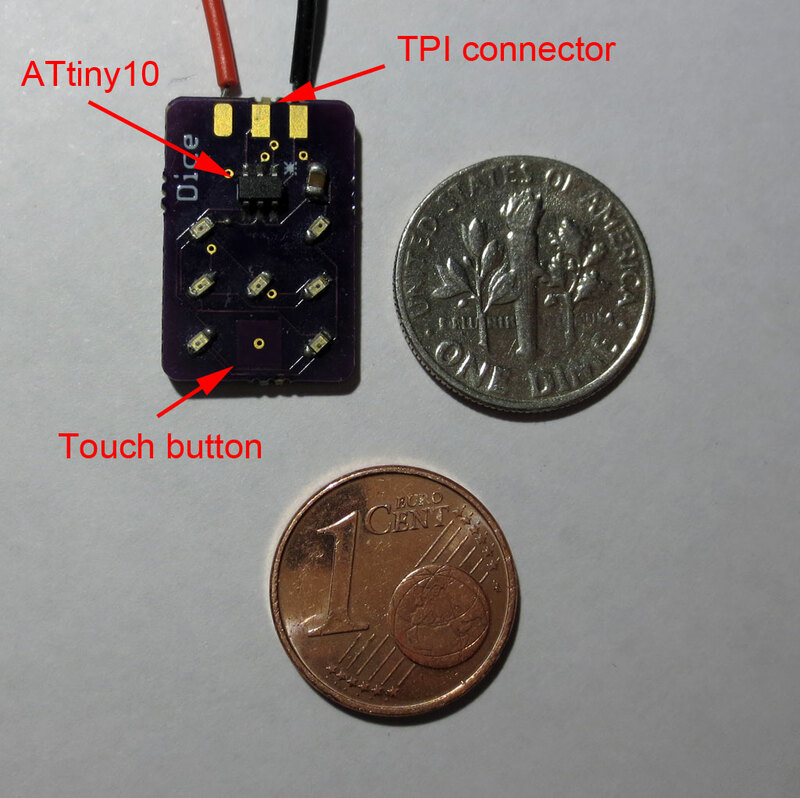 Two interesting new features compared to the ATtiny10 are self-programming capability and an integrated UART. Naturally, this asks for a serial bootloader. Since no bootloader is available for this device I set out to work to work on one. The current state can be found at the Github repository linked below. Right now it is able to upload and execute user programs on ATtiny104 and ATtiny85, but it is far from being optimized. I stopped working in Gluon for various reasons, but may be picking it up again at some point. 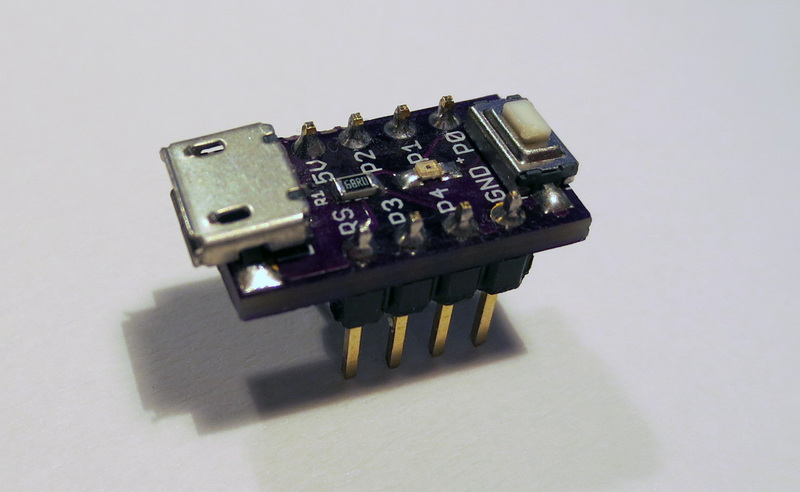 During the last months, a new WS2812 alternative appeared on the market: The SK6812. I finally managed to get my hands on some of them to take a closer look. In most aspects these devices are basically clones of the WS2812. What is interesting however, is that the manufacturer came up with a couple of new variations of the stock 5050 RGB LED. The WS2812 RGB LEDs with integrated controller are fairly successful devices that come in a variety of packages. Recently, similar devices by other manufacturers started to appear. 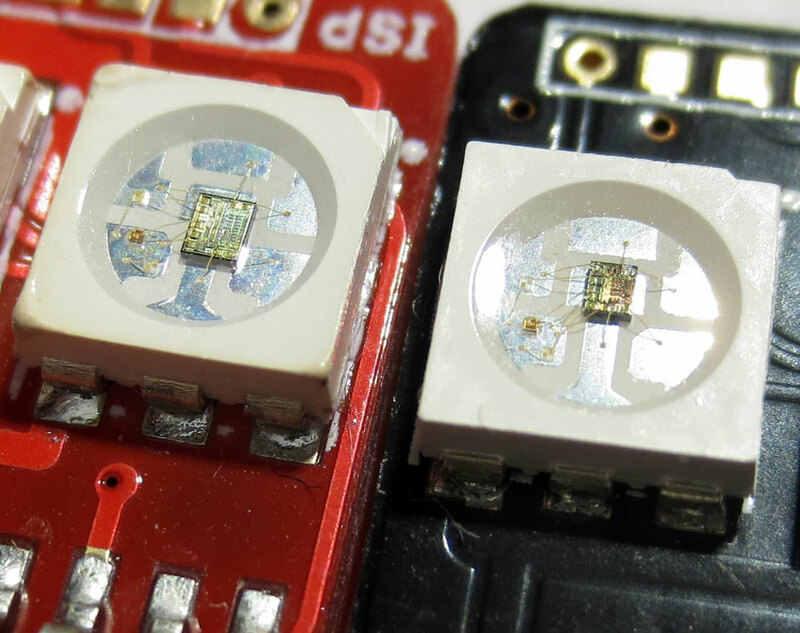 I managed to get my hands on a few samples of LEDs with PD9823 controller, courtesy of Soldering Sunday, and was able to subject them to more scrutiny. The manufacturer of the IC seems to be “BaiCheng”. You can find it in several LEDs with different package types. 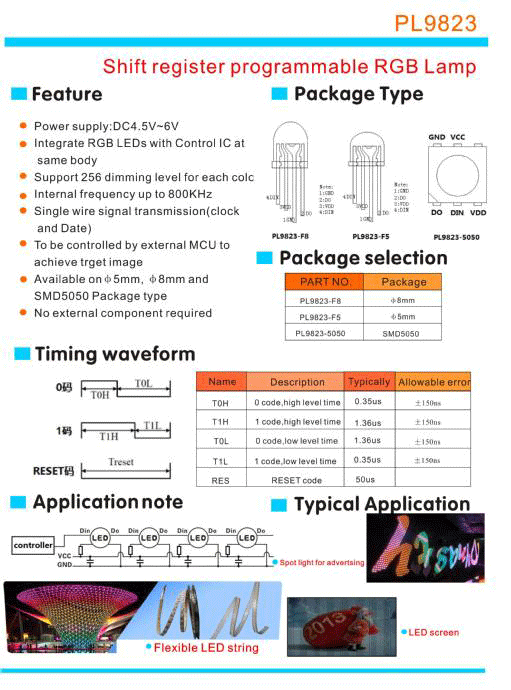 There is a single page “datasheet”, linked here, but little else is known to me. The given timing values are, again, completely different from any other device. So are these really compatible to the WS2812? Only one way to find out: I used the same setup to extract the timing as described earlier for the WS2812. You can find the results below. 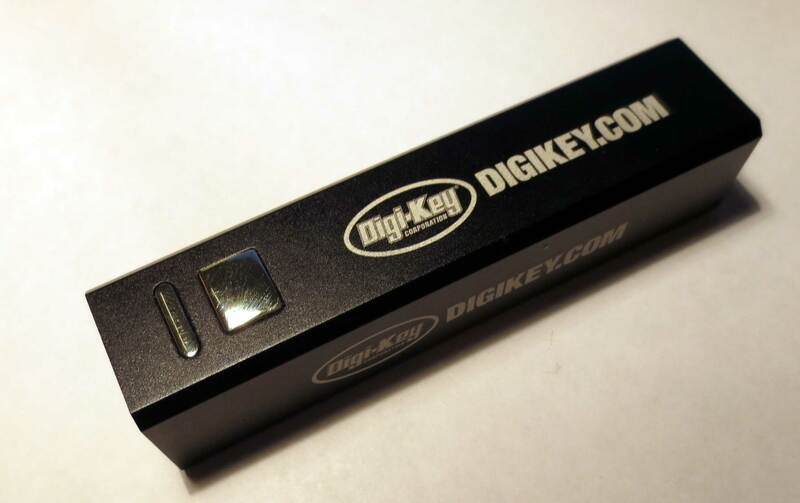 I recently received an external USB battery as a promotional gift (see image below). While I always thought of these as a superfluous gimmick, I realized that these devices could be quite useful as mobile power source for various projects. After all, dealing with lithium ion batteries in your own projects can be dangerous and you need additional circuitry to ensure charging and voltage conversion. External USB batteries can be charged with a normal micro-b USB charger and are supposed to output stabilized 5V at above 1A. And they come fully integrated at a price point where it is difficult to get even the battery alone. See Aliexpress for example and many others. Since there is little reason to trust hardware at this price point, I decided to tear the device down to see whether all the necessary parts are there.